We have bought and sold a number of houses and condos since 1999. We have moved a lot. We purchased properties as investments. We travelled to different areas researching real estate for investment purposes and therefore we worked with numerous realtors. In 2008 we had an extremely difficult time selling a house in Calgary. The property was listed for three months and we had no offers. We decided to look for a new realtor. Sales statistics showed that over a period of three months 15 properties were sold in our area. Troy Weber had sold about half of them and all other realtors together had sold the rest. This caught our attention. We hired Troy and immediately experienced a much higher level of service. The house was sold within one week and for a very good price. Troy humbly explained to us that you can generally expect more from RE/MAX realtors. From then on we decided to work exclusively with RE/MAX realtors, but over the years we realized it was Troy’s professionalism and level of service that made the difference. Troy always prepared the most detailed and thorough market analysis of comparables. He answered our questions and phone calls promptly. He demonstrated outstanding knowledge and understanding of changing real estate markets and superior negotiating skills. His recommendations were always accurate and brought the best results. We wholeheartedly recommend Troy as an exceptional professional. In fact, he is the best realtor we have ever worked with. I met Troy 3 years ago when I saw a listing on the MLS and asked him to show it to me. I had no knowledge of real estate or what homes were worth. When Troy was honest about the home I was viewing, basically telling me that it wasn't a good idea for me to purchase the home because it wasn't a fair price, I knew I met a man of integrity. Since then Troy has skillfully and dutifully sold my old home and patiently helped me choose the important and unimportant upgrades to my built home. Later I found out that his choice of upgrades, home layout and lot became the most popular and highest resale in my area and price level. Troy knows what he is doing. He knows how the market works and what people want when they buy or sell. I recommend him to anyone who will listen." My Husband and I have been fortunate to have worked with Troy in the sale of three (3) homes over the last 12 years. Just recently Troy was able to find us our dream home. Troy is very professional, courteous, knowledgeable and has a high degree of integrity - something that you do not find in everyone. He is always willing to go that extra mile and ensure that his clients are happy and confident in what is happening with the sale or purchase of their home. We would not hesitate to call Troy again or to recommend him to anyone looking for a great Realtor! The first time I sold a house with Troy Weber was in 2001. I was in the middle of a difficult situation forcing an unwanted move upon me. Troy was the last of many realtors that I interviewed for the listing. Not only was he professional, but he demonstrated a desire to represent me and achieve as smooth a transition as possible. He focused on achieving a successful selling experience rather than just telling me what I wanted to hear in order to acquire the listing. Since then, I have worked with Troy on several real estate purchases and sales and each time he has demonstrated the same focused attention on providing a level of service that ensures a successful and equitable transaction. Without hesitation, I enthusiastically recommend Troy to anyone seeking a realtor with integrity who puts your needs ahead of simply making a sale. Over the last 7 years we have utilized Troy's vast knowledge and experience to help us with purchasing two homes. During those transactions Troy was very professional and ensured we were well informed throughout the negotiations so we could make the best decision. We are again using Troy's skills to help us find our third home and we have the utmost confidence that we will be successful with his guidance. I highly recommend Troy as he provides great service with no pressure and will ensure that he finds the right house for his clients. 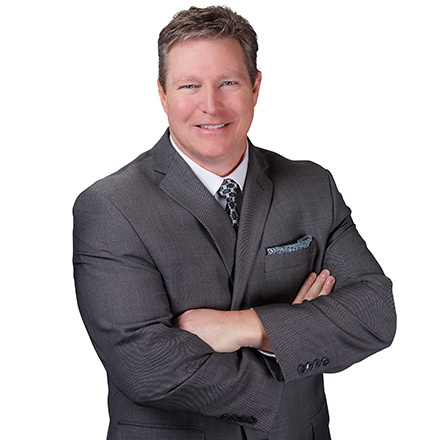 I have worked with Troy Weber over the last 5 years executing multiple real estate transactions. We have bought and sold investment properties as well as my own personal residences. Each transaction was handled with the most professional, knowledgeable and personalized attention. Troy Weber has proven to be a superb negotiator always maintaining my own interests at the forefront. I have the utmost confidence in Troy and highly recommend him knowing he provides very personal service and successful outcomes for his clients.